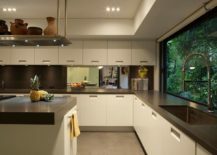 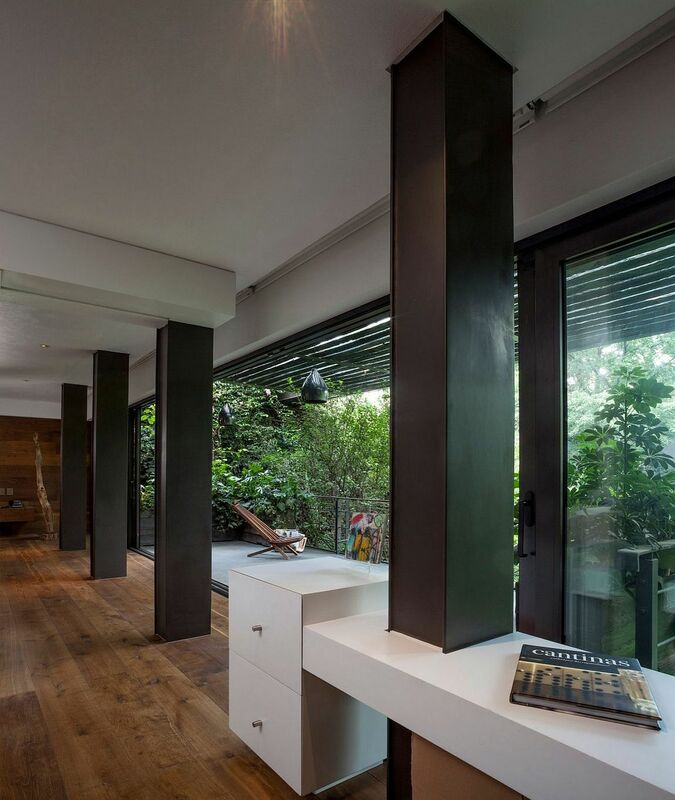 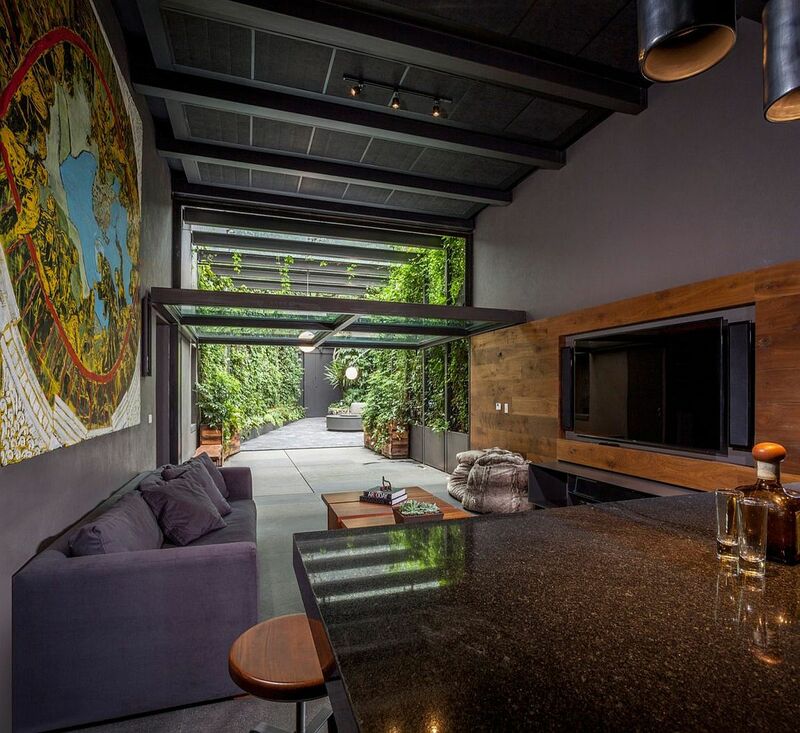 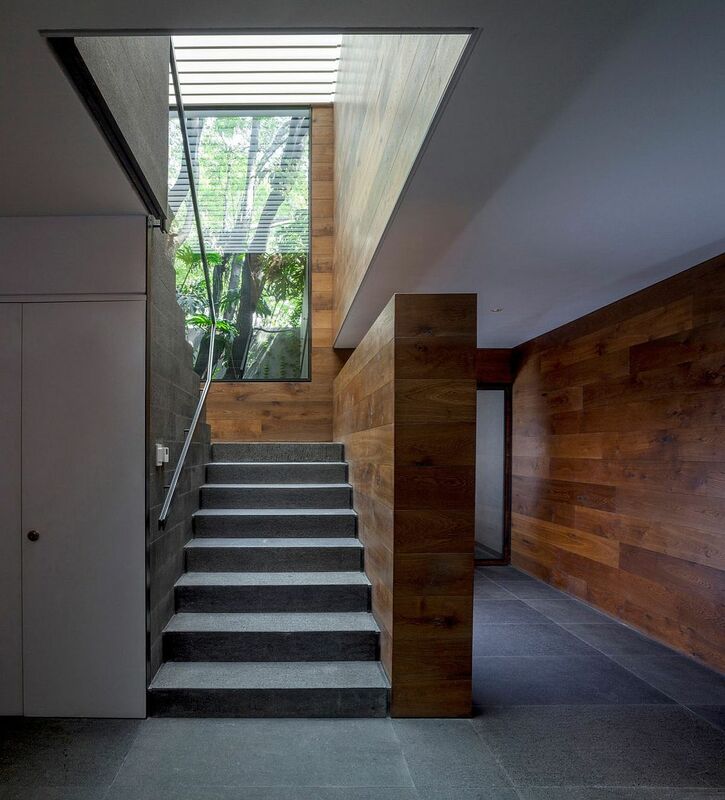 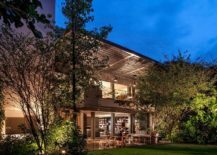 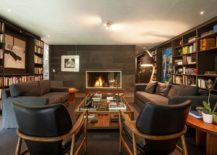 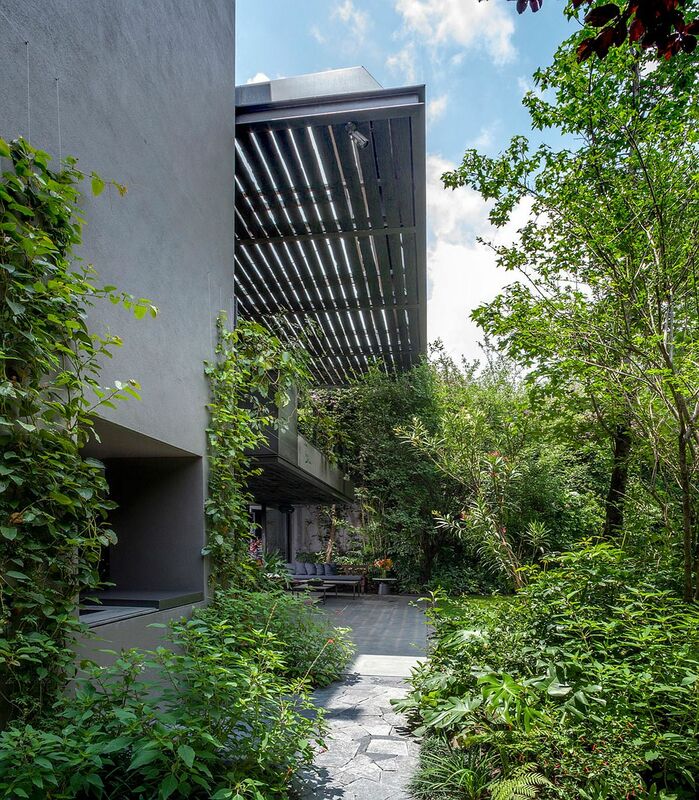 If spending more time outdoors than inside the confines of your home is your thing then you are bound to instantly fall in love with the exceptionally charming Casa O’ in Ciudad de México, Mexico. 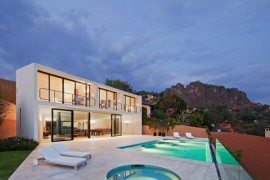 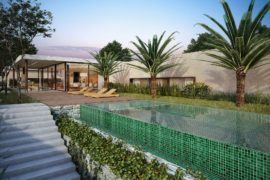 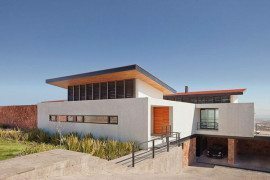 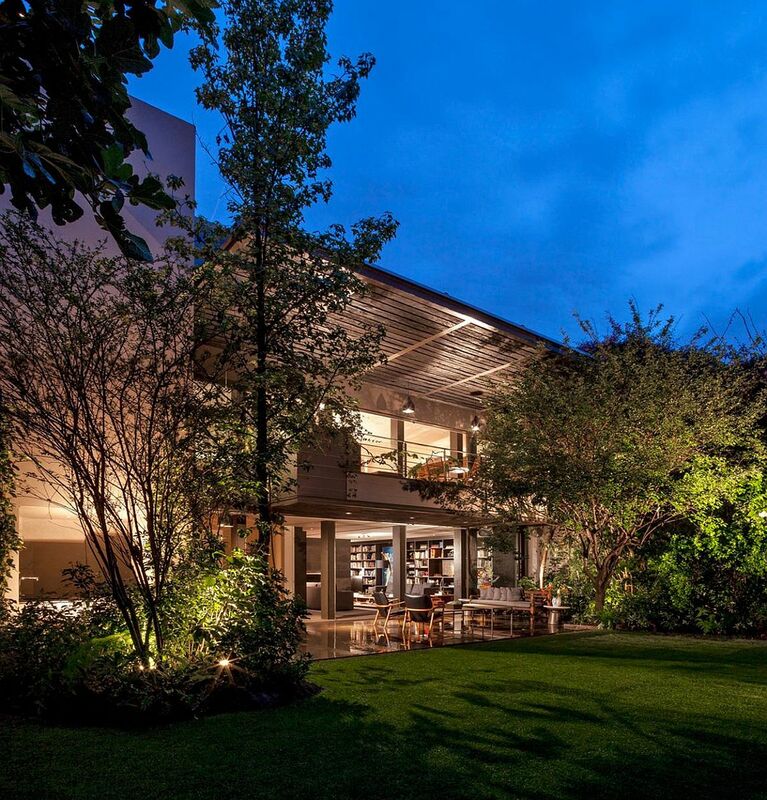 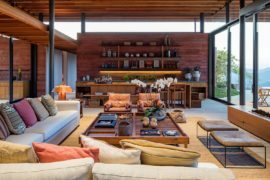 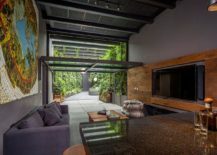 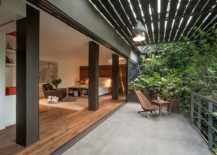 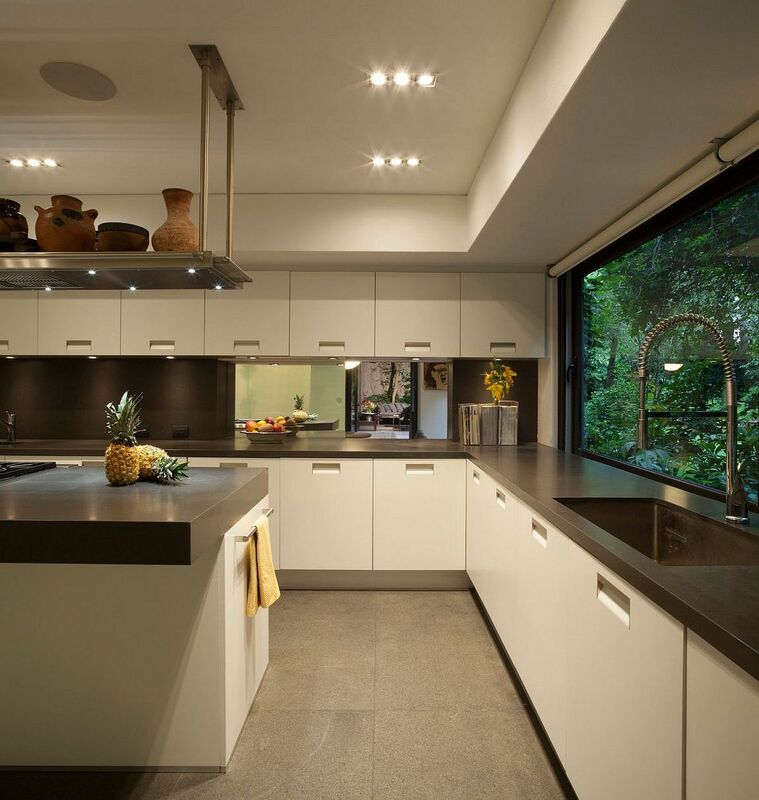 More like a boutique luxury resort than a conventional contemporary home, this majestic and relaxing Mexican home was designed by Despacho Arquitectos HV to give its residents a luxurious and tranquil getaway that is draped in nature’s goodness. 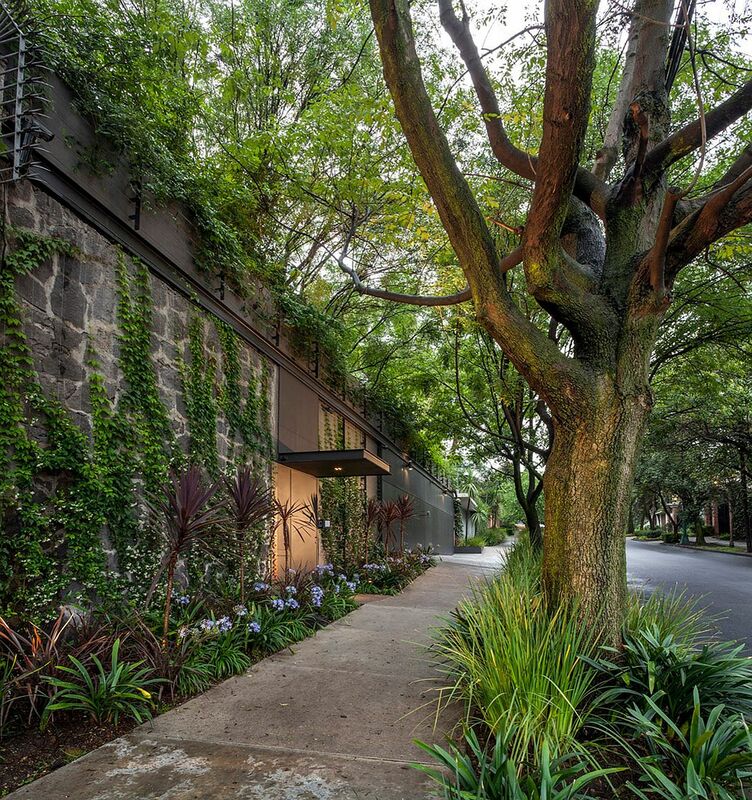 Step beyond the compound wall that is adorned by creepers and accentuated by flowery plants and you enter a green nirvana that feels both lavish and classic. 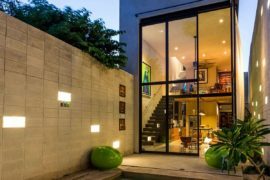 It is the entrance courtyard with its traditional Mexican style coupled with Mediterranean goodness and tropical vibe that leaves you breathless. 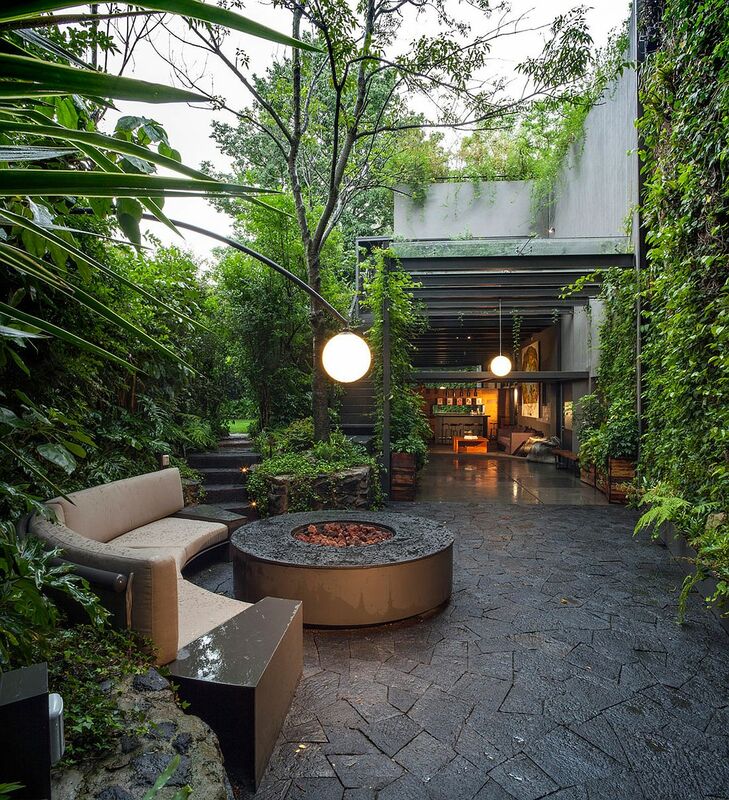 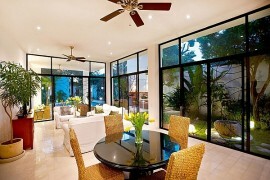 Everywhere you look, there is a carpet of green and privacy is never an issue. 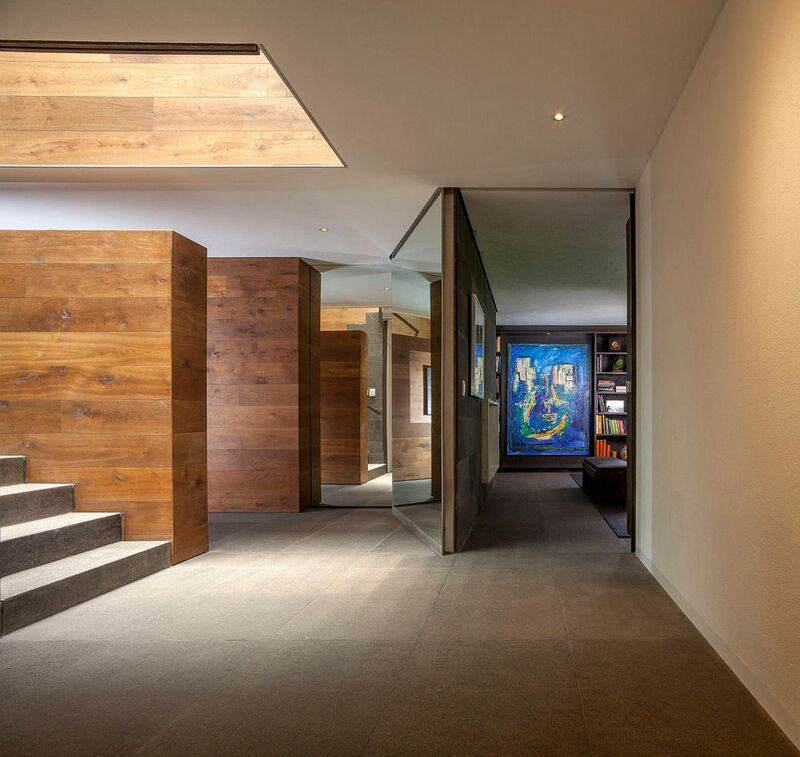 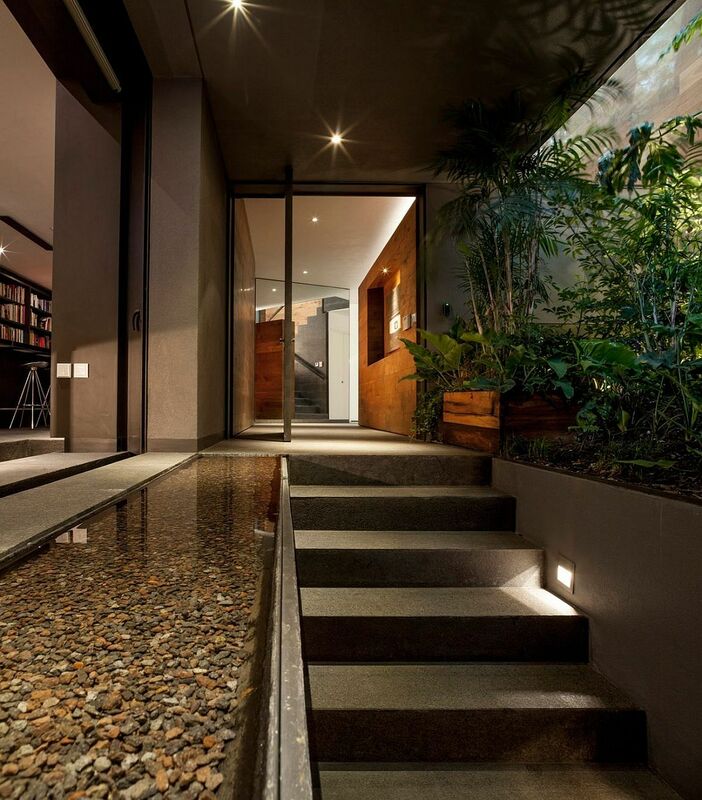 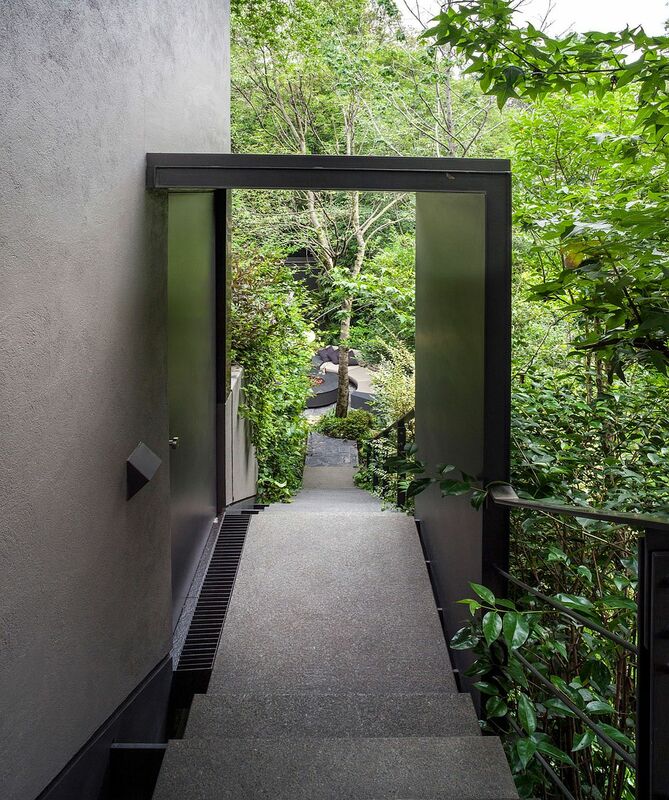 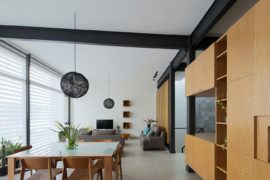 A narrow entryway leads into the main home where nothing feels conventional! 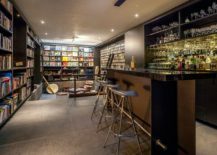 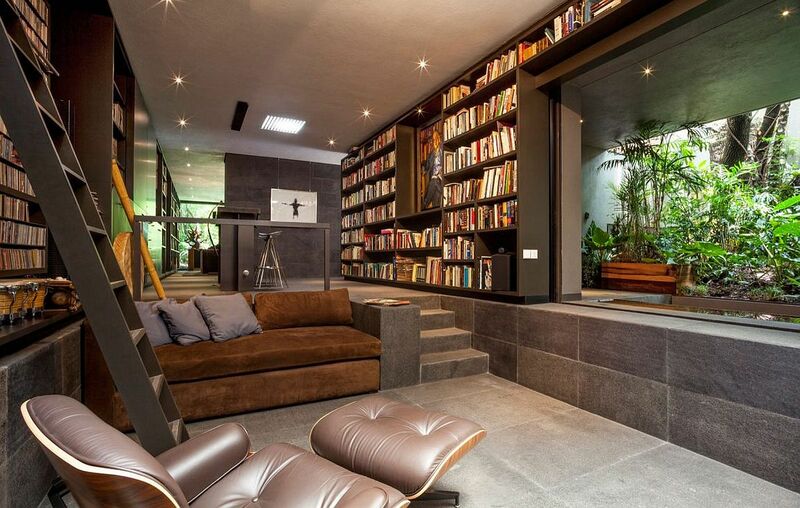 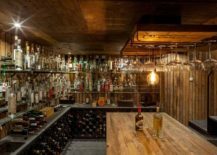 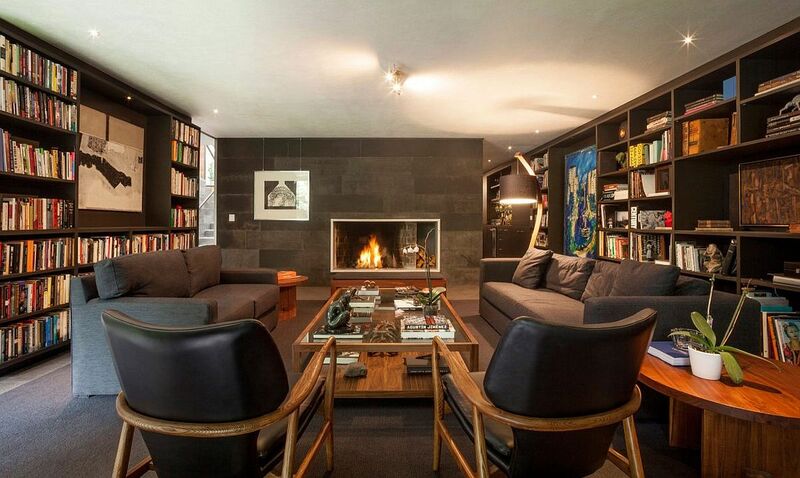 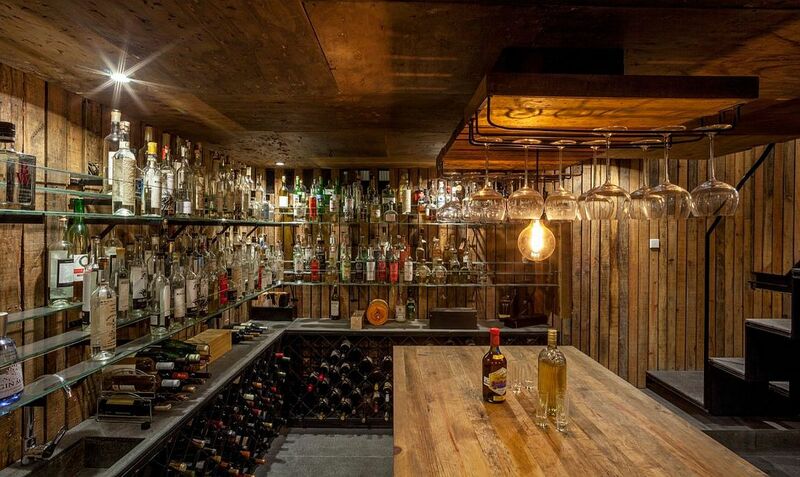 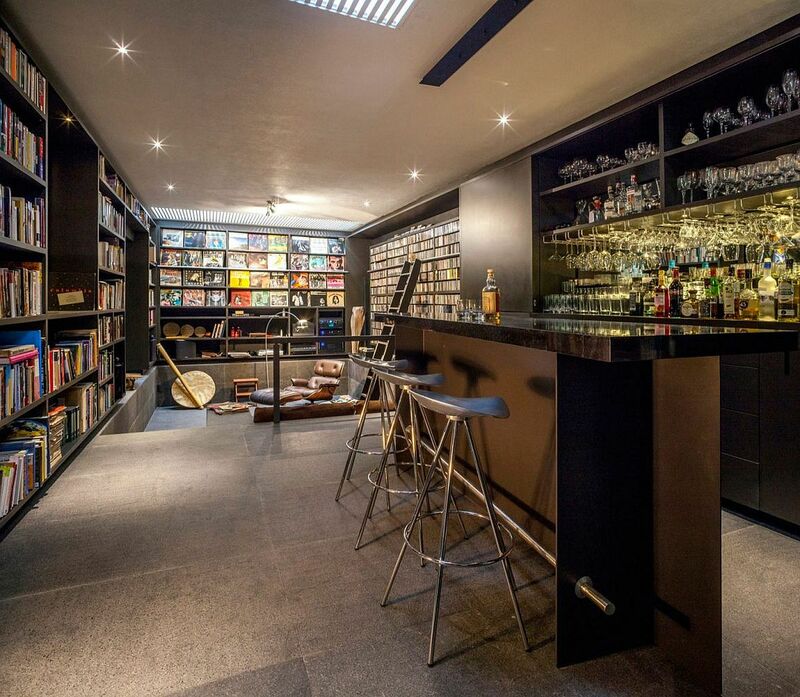 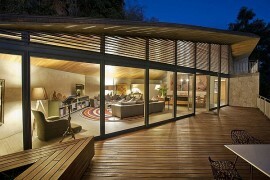 A sunken living area with home bar is surrounded by walls of books that extend all the way up to the ceiling. 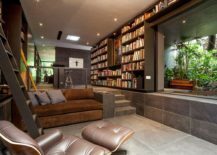 These floor-to-ceiling bookshelves give the home color, personality and also showcase the homeowner’s love for books without confining it to just a single study room.